diffusaire.com – Anyone can do it! Diffusaire Ltd. was founded in 2009 at the Kinrot Venture water-tech incubator, Israel’s only facility totally dedicated to fostering water startup companies. The company is focused on commercialising its OTECH aeration technology, which offers substantial saving in electricity for wastewater treatment plant (WWTP) operators as well as for aqua-farmers. We have a beta site in operation at a WWTP outside Tel Aviv. This single aeration unit is installed ontop of existing fine bubble diffusers- replacing them completely. Diffusaire Ltd. – Founded in 2009 within the Kinrot Ventures incubator in Israel to commercialize its patent pending OTECH aeration technology. OTECH based products target global markets such as wastewater treatment plants (WWTP) and fish farms. Addressable markets are well over US$1.0 billion per year. The OTECH user benefits are 50% reduction in energy costs as well as an increased capacity/throughput, simplified maintenance and reduced CO2 emissions. Energy used by WWTP in the US alone is estimated by DOE at 1.5% of the total US electricity consumption. This translates to more than 3,000 MW of electricity, at an annual cost of about US$1.6 billion. 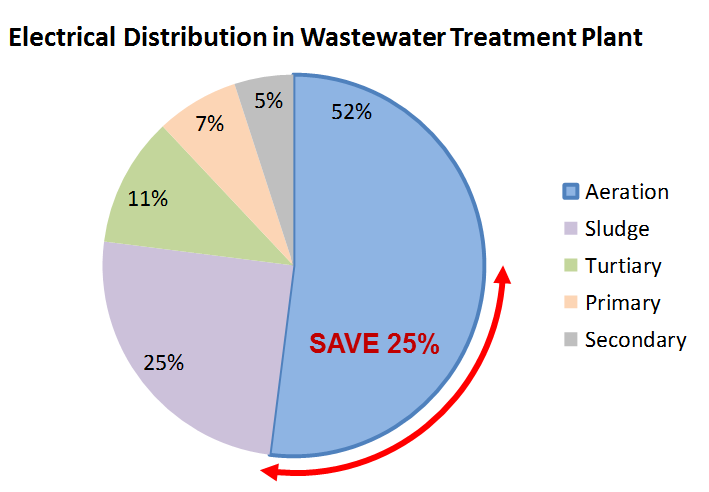 Aeration accounts for 50% of the energy cost in wastewater treatment plants. OTECH’s aeration system diffuses air into pumped liquids. The system extends contact time between bubbles and liquid by a factor >2 thus reducing the energy required for aeration by ~50%. An additional benefit of the OTECH system is a 20-40% reduction in installation costs, compared to current solutions. Initial commercial installations are expected in 2011, Diffusaire is signing up initial customers for pilot installations – please contact us if you are interested. Wastewater treatment plants have not enjoyed a fesh breeze of innovation for a few decades. Operating upon archaic equipment, sewage treatment plants lack innvotion. Therefore there is plenty room to introdce new technologies that offer improvements both in maintenance and energy savings. 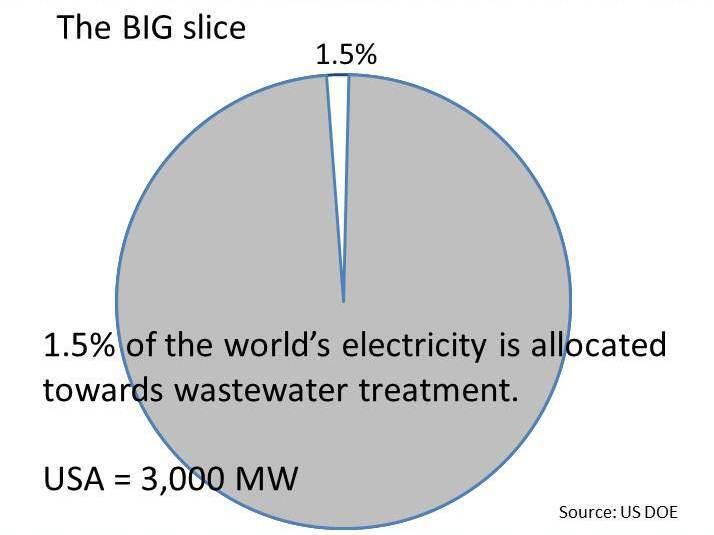 Around 1.5% of the world’s electricity consumption is allocated towards treating wastewater. Such a ratios holds true for most Western countries and hold great opportunity for introducing energy savings into this market sector. Looking inside a sewage treatment plant reveals that over 50% of the energy costs are allocated to the aeration process which provided the much needed oxygen for the biological process to take place. DIFFUSAIRE WILL CUT 25% OF THE ENERGY COST !